We provide a pest control service for domestic and commercial premises. During an appointment the Pest Control Officer may advise the customer on action that will act as a deterrent for pests. To request an appointment please call our Customer Services Team on 0303 123 1702. The lifecycle from egg to ant takes two months. Ants and nests can be inaccessible and difficult to destroy. Allerdale Borough Council's pest control officers will provide a service for the treatment of ants in a domestic property. Fleas are one to eight mm long. 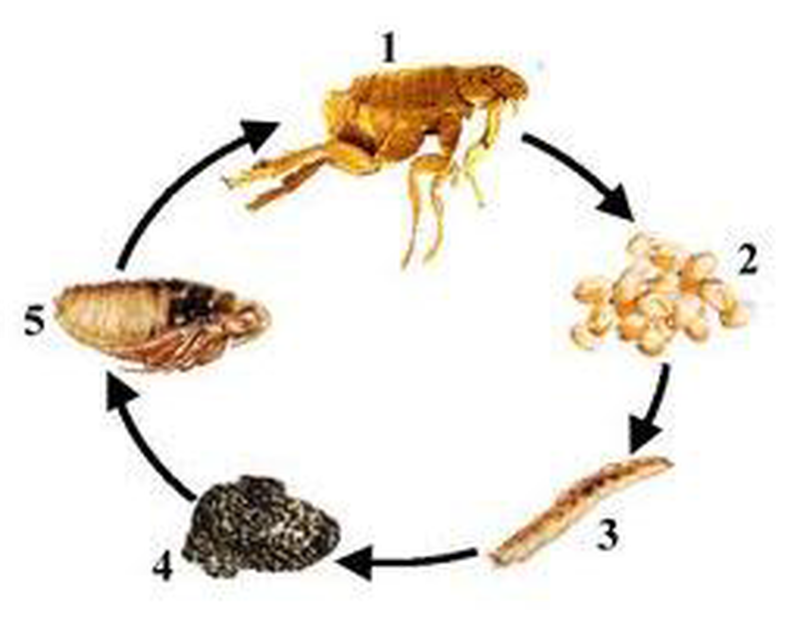 Adult fleas live as parasites on warm blooded animals such as cats, dogs, rabbits and birds. Any cats or dogs living in the property must be treated before a Pest Control visit. Fumigation of the whole household including furnishings such as carpets, curtains, beds, bedding etc, will normally take place as part of the service. The householder will be asked to remove any delicate pets such as birds, hamsters, tropical fish etc, in order that fumigation can take place. Allerdale Borough Council can provide a treatment for both rats and mice in domestic premises for which there is a charge. Advice will be provided to the householder on safety precautions and follow-up visits are carried out to remove any surplus bait. Treatments are also available for commercial premises such as farms, hotels etc. Information is passed on to the Environmental Health Unit regarding any requests from food premises. Wasps live in nests that are typically found in roof spaces, airbricks, cavity walls, garden sheds and trees. Wasps nests develop during the spring and early summer. Wasps are aggressive when disturbed and will sting. If a nest is causing a nuisance then it is best treated professionally. Allerdale Borough Council’s pest control officers will treat wasp problems. A charge for the service will apply. No external treatment will be carried out at a height higher than a standard two storey building. Treatment for the problem is chargeable. Bees, both honey bees and bumble bees, are a protected species. Allerdale Borough Council do not treat either species. There is more advice on the British Beekeepers Association website. The number of pigeons attracted to an area depends on the food available. If pigeons are being fed, more pigeons will be attracted to the area. Pigeons nest and roost on balconies, window ledges and roof areas of surrounding buildings. Allerdale Borough Council does not normally provide a service for treating pigeons. Each case is treated individually and in special circumstances fees and charges costs will apply. Do not vacuum treated areas for seven days to allow the treatment to work.